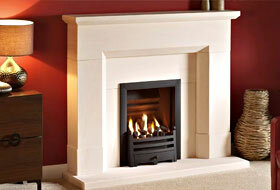 Our natural stone and marble fireplaces come in a variety of finishes. 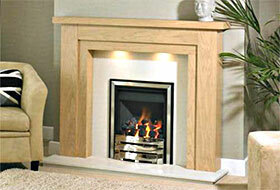 Timber fireplace surrounds add natural warmth to your living space. 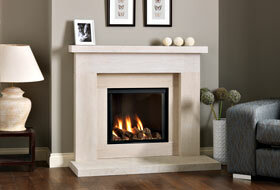 Like the convenience of gas or electric fires we offer a fantastic range. 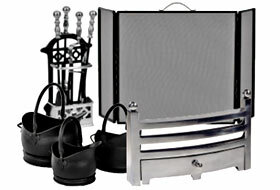 We offer a range of products to complement your fireplace. We love our job and our aim to deliver total satisfaction. Our engineers are GAS SAFE registered, who have completed British Gas Apprenticeships. Rest assured with Wokingham Fireplace Centre you're in safe hands. We will provide a cost quotation once the exact specification of the work has been agreed. Wokingham Fireplace Centre offer a fully qualified professional fireplace and stove installation and chimney sweeping service in the Berkshire, Surrey and Oxfordshire region. If you are considering having a fireplace installed, please contact us to arrange a free survey and discuss your requirements.